5 STAR Grand Canyon Helicopter Tours exclusively uses the Airbus AS350B2 helicopter, which guarantees you all forward-facing seating for the best views of the Grand Canyon. Our First Class/VIP configured Grand Canyon tour helicopter features European leather seating, cream leather trim and wooden floor finish for the ultimate first class helicopter ride. 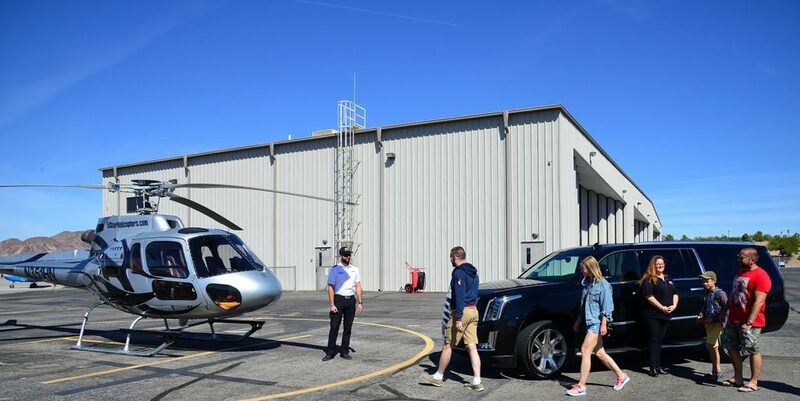 5 STAR Grand Canyon Helicopter Tours provides you the best value in providing affordable and luxurious Grand Canyon tours and Grand Canyon flights. Experience 5 STAR Luxury Mercedes-Benz Passenger Vehicle service to and from Las Vegas area hotels to our Grand Canyon Tour Air Terminal just 35 minutes away, or our Las Vegas Tour Air Terminal just 15 minutes away. Select tours include a complimentary beverage upon check-in at the Air Terminal.